The white grape probably comes from Hungary. Gold Grape, Honey Grape, Honigler, White Honigler (Synonyms grouped alphabetically by country) Germany ); Honey Bianco Italy ); Bieli Medenac ( Croatia ); Alfölditraube, Honigler, Langstingler, Silberweiß ( Austria ); Alföldi Fehér, Aranyka, Aranyka Sarga, Budai Fehér, Margit, Mézédes, Mézes, Mézes Fehér Szölö, Sárfehér, Sarféjer, Sárga Margit, Sárga Zsölö, Szagos Sárfehér, Zsige ( Hungary ). The name part "honey" probably refers to the high sugar content of the grapes. 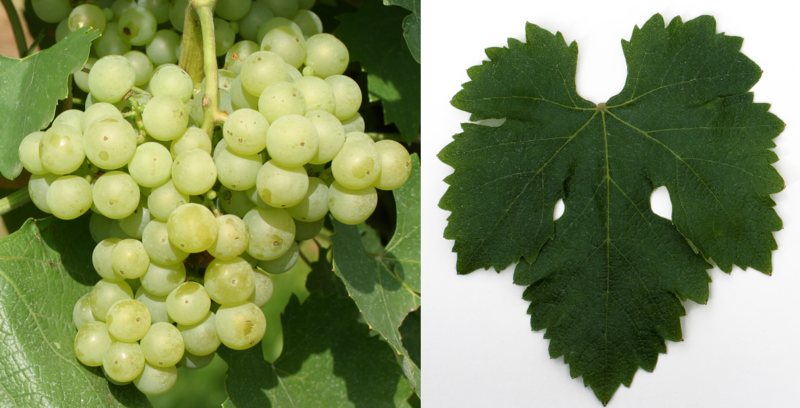 The early-ripening, high-yielding vine is resistant to drought or drought, sensitive to wintry frost, as well as prone to Botrytis and both mildews, The often suspected origin of the Balkans could not be confirmed yet. In any case, it was formerly widespread in Central Europe and was mainly used in the mixed sentence grown. The variety is in Hungary almost extinct and is only cultivated by individual winegrowers. In 2010, only two hectares of vineyards were expelled (Kym Anderson ). In Austria There are a few Honigler vines in the vine museum of the Franz vineyard Leth (Wagram, Lower Austria). This page was last modified at 25 February 2018 at 20:19.